The tail is tied to the hook after the blade. It could be made out of different fibrous materials such as synthetics, wool, soft feathers, Flashabou, etc. The length of the tail could be about a half of the hook shank length, as long as the hook, and sometimes twice longer than the hook. The tail of the fish imitations normally consists of three layers: dark on top, flashy in the middle, and white (yellow) at the belly part. 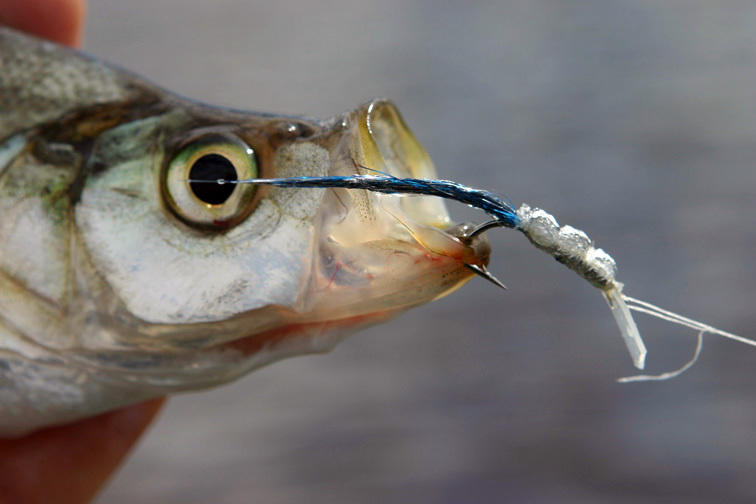 The floating foam back and the blade pulling down (and the added weight of the hook bend) form a force couple, which stabilize the wobbler-fly on the retrieve. So, the lures with more «contrast» between their back and belly are much more stable even on strong current. The fly back is made out of a strip of a buoyant material, most often — synthetic foam. It is easy to obtain in different thicknesses and colors. The most «active» flies are vibrating even on slow current (about 30cm/sec) or on slow retrieve. The «lazy» flies are suitable to be used only in rather strong current. Wobbler-flies should be tied in a loop. 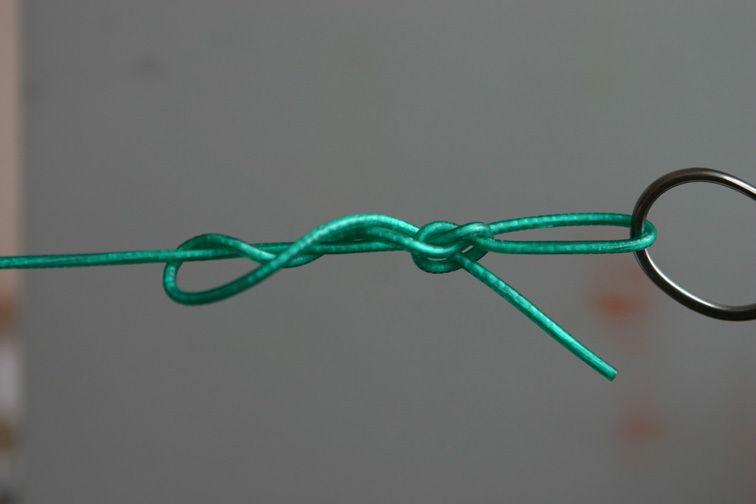 You could use either the Rappala knot (see the image below), or the Duncan Loop. The Rappala knot is forming a permanent open loop One more way to connect the big size wobbler-fly to the tippet is the use of a clip use by spin-fishermen. I am using these clips only with steel tippets which are a must when fishing for toothy fish species. 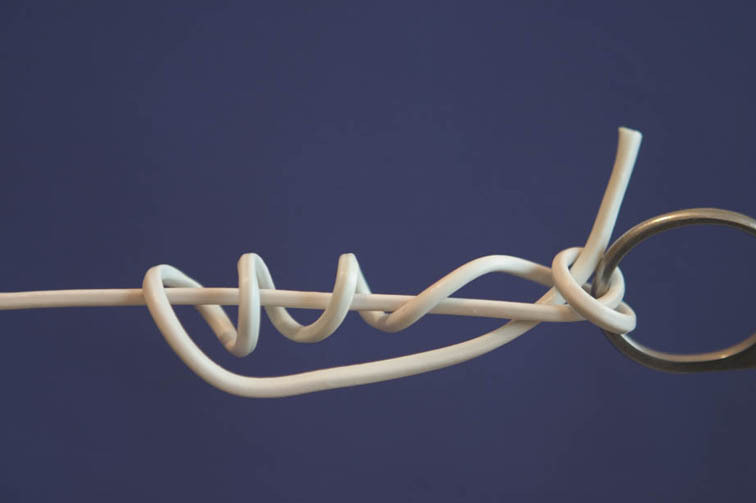 To the snap or a swivel of a steel tippet the line is connected with a Double Clinch knot. The biggest wobbler-flies (on the hooks #1/0 and bigger) work well even on 0,4 mm tippet; if necessary they could easily carry a steel tippet with a swivel and clip. With the flies on the #1 and #2 hooks I use the tippet up to 0,35 mm, and the ones of the #4-8 hooks need the 0,25-0,30 mm mono. The smallest versions of these flies on #12 hooks I use with the 0,18-0,20 mm line. Fish imitations with dark back and light belly, tied on the #8-4/0 hooks. 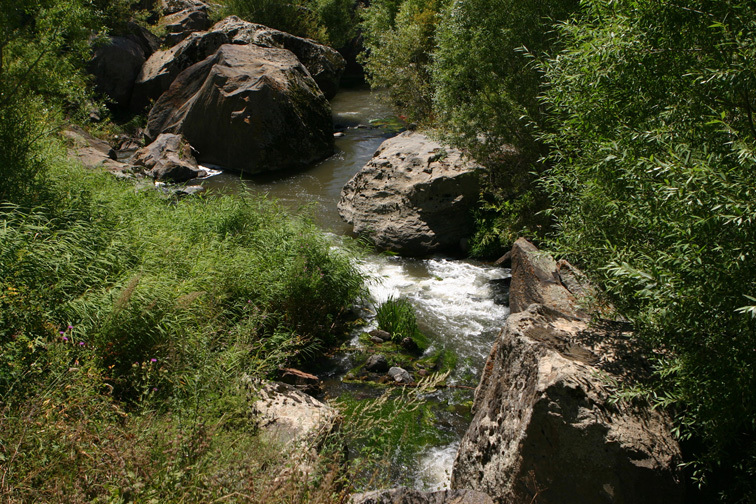 Lamprey or loach imitations — black or brown flies with slow, sweeping motion and long, soft tails. Imitations of mayfly and stonefly nymphs — small flies on #8-12 hooks. In the water they should have the characteristic wiggling movements of the aquatic larvae. Any nymph of not too little size could be also ties as a wobbler-fly. The tail of the nymph is made out of a bunch of olive of brown marabou. Medium size flies on #2-8 hooks with intense movements and bright, fantasy colors are designated for catching char and Pacific salmon. Same as other fantasy flies they are also efficient for catching many different fish species in murky water and in low light conditions. Wobbler-flies are working well on Pacific salmon. I was even able to catch some sockeye salmon (#8 black or dark blue flies). 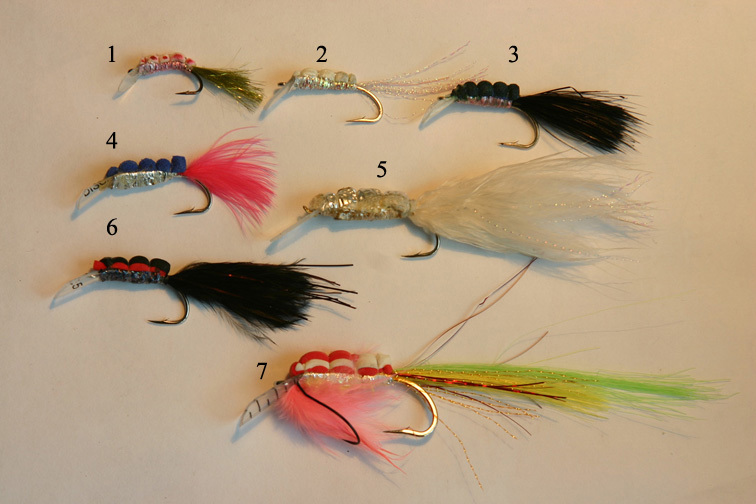 Pink salmon were biting #6-8 pink or red wobbler flies, and coho — #4-6 pink or purple flies. With the same flies I was catching lots of rainbow trout and predatory Kamchatka grayling. The wobbler-flies are attracting different predators of the Amur River; the murky water makes these flies especially efficient. Most often I was using them with a 15’ sink tip or with a sinking line. In the Sea of Okhotsk and the Bering sea the wobbler-flies were catching different marine fish such as different species of flounder, greenlings, rock-fish, sculpin, etc. 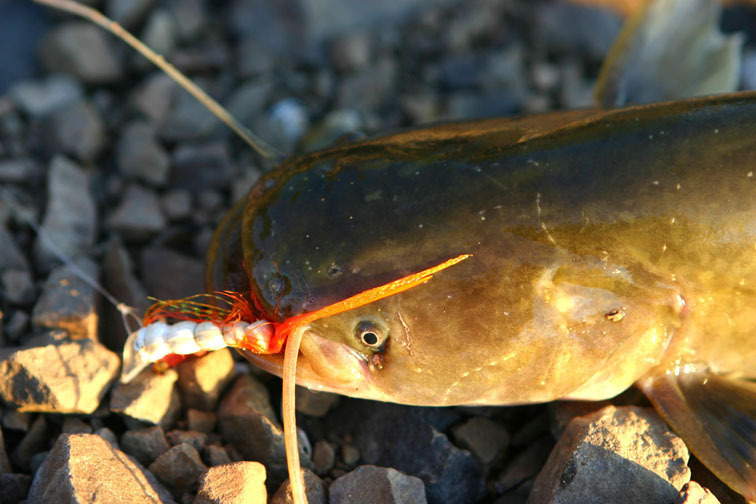 Amur catfish is often chasing its prey on the shallows near the sandy banks. 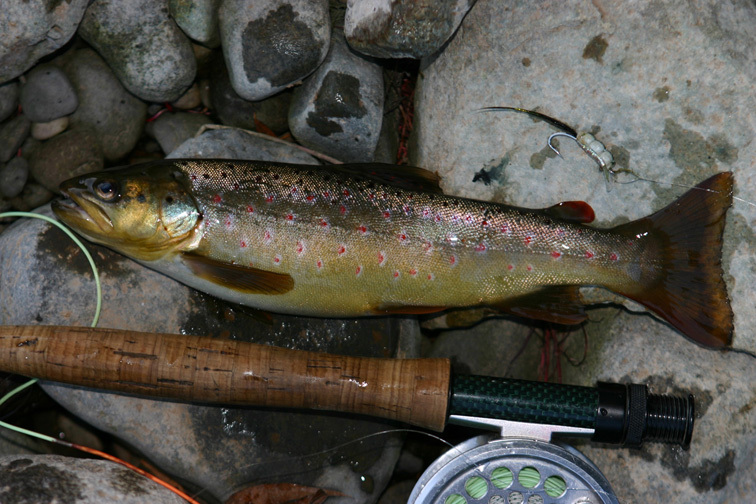 Skygazer from the Amur River Conclusion If you do not want to limit your experience to river fishing for salmon and trout, it is necessary to widen the selection of your flies and presentation methods. The wobbler-flies are without doubt a serious deviation from the classic fly-fishing. On the other hand, they are a good solution of hard cases like deep and murky water populated with non-salmonid fish.